About a year ago, I created a list of first dance songs called "99 Problems and a Wedding Song Just Became One". My goal this time around is to find my own first dance song since I still have yet to find one. I'm still in the process of deciding on a first dance song, so if you have any recommendations please share them with me. If anything is to be perfect, it has to be my first dance! Here I go again, just like the first time, I tried to find as many songs as I could. My list of songs are as fresh, new, modern, and of course I did keep some of the classics. I know many love the classic songs, (as do I) but for my wedding I want a nontraditional song. With that said, my list was built around being nontraditional as possible. I really hope to inspire some of my fellow brides with this list. I also hope you get great ideas, and hopefully pick a song from my long list :) Good luck my friends. After much researching, and listening to countless love songs, I've come up with a new list! I have also included my list from last year, all 43 songs! 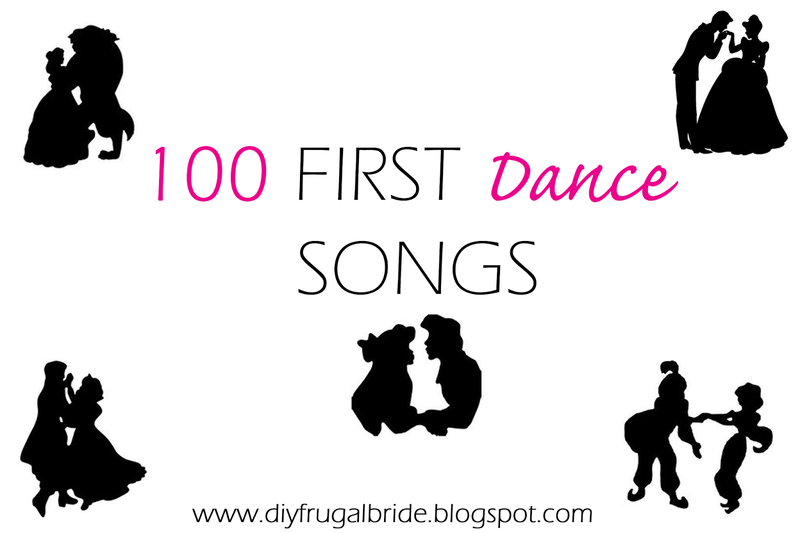 Here are 100 of my very own recommendations for first dance songs. Our first dance was 'what would I do with out you - Drew Holcombe and the Neighbors. My cousin pulled out the guitar and sang it as a surprise too! My first dance was a sentimental song chosen because it was the first song my now husband ever sang to me: Quando, Quando, Quando (Michael Buble). But a song we also really considered was Sam Smith's "Latch" (acoustic). Amazing first dance song!